I’ve been very silent on this blog, because life reached up and grabbed me by the throat, and is still not quite letting go. This year has been one for serious ups and downs. 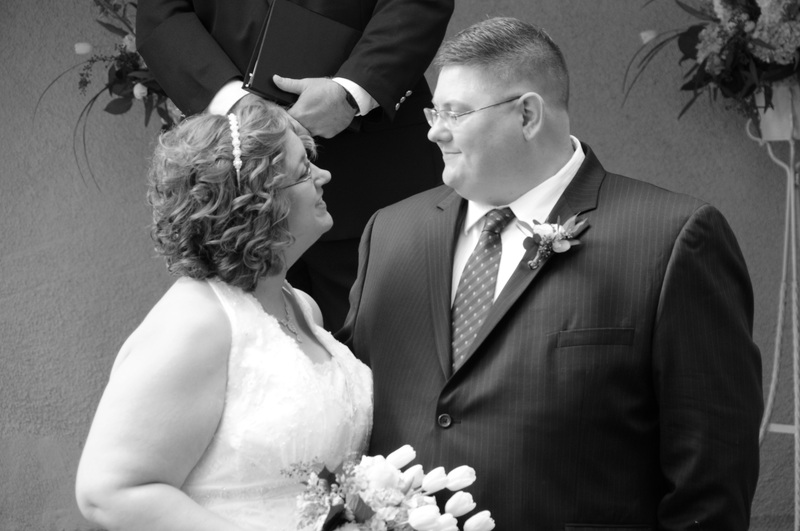 I got married on May 11, 2013 to the most caring, loving, funny man I could ever find. I’m so thrilled to be married to him. 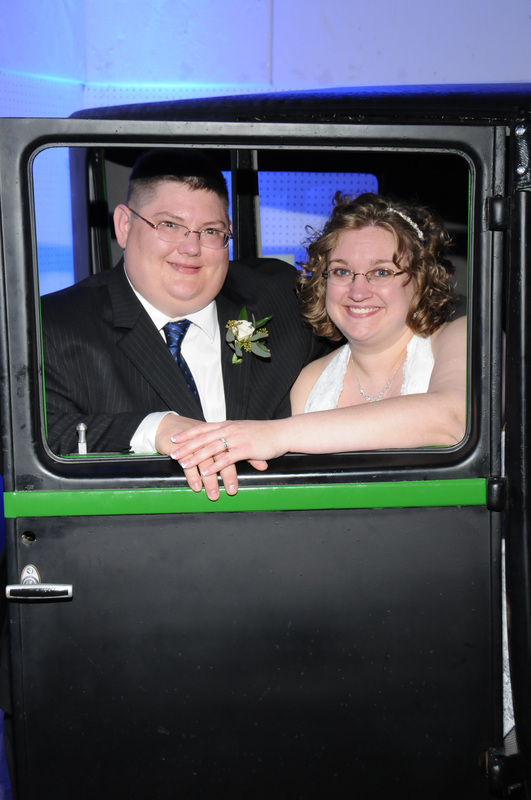 This is us on our wedding day. 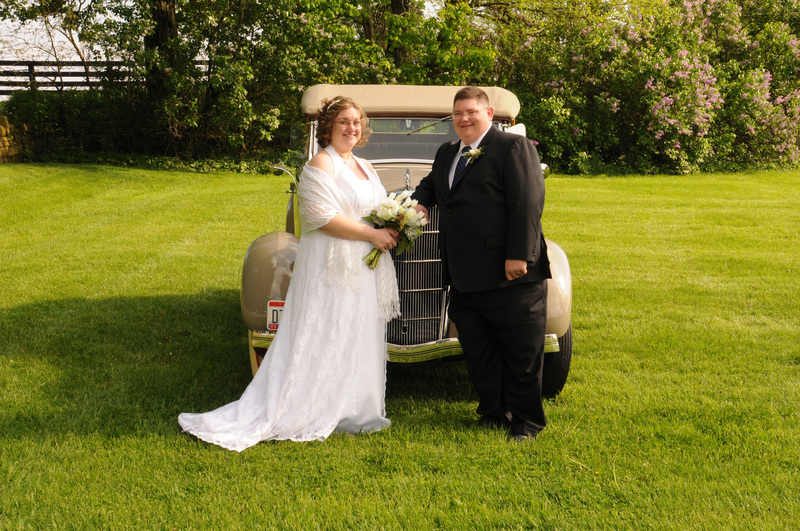 Yes, we had a wonderful wedding, with vintage cars and all kinds of family. I’ve got gobs and gobs of awesome photos…but I tend not to post too many pictures of other people unless they know about it…and are okay with it. The Boy was the best man, my Sister was the matron of honor, and my Nephew was the ring bearer. It was a perfect day, and I’m thrilled for it! On the other hand, some of you may have known that I was pregnant this year as well. I had a very difficult pregnancy, diagnosed with hyperemesis gravidarum (the same thing that Kate MIddleton had, by the way…which is so not glamorous…basically consists of vomiting twenty times a day, at least for me, and losing almost twenty percent of my body weight). It did not, however, have a good outcome. My daughter, Allison Jane, was stillborn in July. By the time I was home from the hospital, I had lost 40 pounds. That, in itself, is a long and complicated story, and one of these days, I will post it, but not today. I’ve pretty much recovered from the whole thing…including gaining back weight, you know, from eating actual food again without getting sick. We are doing well, and life has continued. We are actually even stronger as a family, as a couple, and as people…and for those of you who know me well, and know my husband, and the two of us together…know we were pretty darn strong anyway, but it is nice to know that in adversity, we turned to each other instead of away from each other. I very much appreciate all the kind wishes and thoughts and prayers we’ve received in the meantime. I’m working on THE WONDERLAND WOES…book three of THE GRIMM LEGACY series. I’m working on my conference schedule for next year…more to come as that firms up. Anyway, I’m working on catching up on a whole lot of things that fell by the wayside while I was sick. I’m still behind on a lot, but I’m digging out. It helps that I’ve had some awesome friends and family who have helped out huge. We have lots of plans and lots of things in the mix. We’ve got holidays and house projects, deadlines and other things to keep us busy for a good long time. We’ve talked with our pastor, with a counselor, and with each other until late in the night. We’re okay.